Sports Rendezvous: Former world 400m hurdles champion Nicholas Bett dies in car crash aged 28. Former world 400m hurdles champion Nicholas Bett dies in car crash aged 28. The Kenyan former world 400m hurdles champion Nicholas Bett has died in a car accident at the age of 28. 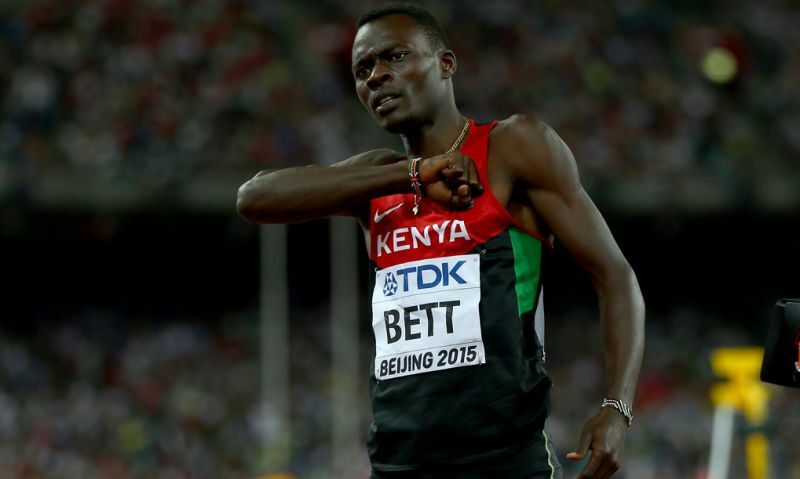 Bett was involved in an accident in Nandi, north-west Kenya, a day after returning from the Continental Championships in Nigeria. A tweet from Athletics Kenya confirmed the news on Wednesday morning. “We regret to learn of the sudden demise of one of our top athletes, the 2015 400m Hurdles World Champion #NicholasKiplagatBett who represented Kenya in the just concluded Africa Championships. Our condolences to his family and the entire athletics fraternity,” it read.